is a professional and integrated manufactory of R&D different kinds of LED display products since 2001. We started from LEDs encapsulation, more than 10 years experience in LED industry. Certification Why choose us 9 9 9 Our company has passed ISO9001:2000 International Quality System Certification and the ISO14001:2004 Environmental Management System Certification. Our certifications including 3C , EMC, CB, CE, UL, ROHS and dozens of state-patented rights, our products sell well on the world market, including Asia, Europe, the Americas, and Africa. Alibaba.com offers 47,043 outdoor led display signs products. About 70% of these are led displays, 12% are advertising light boxes, and 10% are electronic signs. 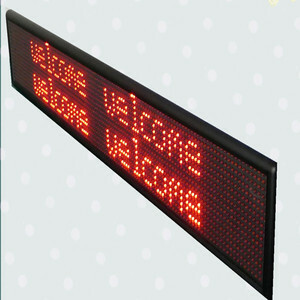 A wide variety of outdoor led display signs options are available to you, such as 11mm, 20mm, and 10mm. You can also choose from outdoor, indoor, and semi-outdoor. As well as from red, full color, and green. And whether outdoor led display signs is video, animation, or graphics. 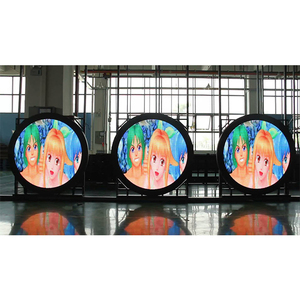 There are 46,865 outdoor led display signs suppliers, mainly located in Asia. 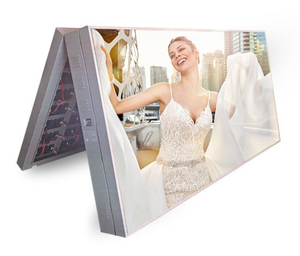 The top supplying countries are China (Mainland), South Korea, and United States, which supply 99%, 1%, and 1% of outdoor led display signs respectively. Outdoor led display signs products are most popular in North America, South America, and Eastern Europe. You can ensure product safety by selecting from certified suppliers, including 11,940 with ISO9001, 3,569 with Other, and 3,134 with ISO14001 certification.